Detailed vascular (venous color duplex) ultrasound examinations are essential to properly diagnose, treat, and follow patients with venous problems. Our Registered Vascular Technologists (RVTs) are very experienced and skilled at performing venous color duplex ultrasound studies of veins of the extremities and of the abdomen and pelvis. The attention to anatomical details and the careful evaluation of venous flow makes the VCOTN vascular laboratory unique in our area. The quality of vein treatment is only as good as the underlying diagnostic ultrasound studies available to the treating physician. 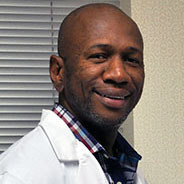 Chris Dudley, RRT, RDMS, RVT, RPhS, is the Technical Director for the Vascular Laboratory at VCOT. 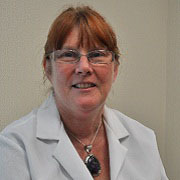 She has many years of experience performing non-invasive vascular diagnostic testing for both venous and arterial disorders. Chris manages the Vascular Laboratory and is responsible for quality control. Aleata Rigsby, BS, RVT, RPhS trained with us as she was completing ultrasound school a number of years ago and has developed a high level of skills performing complex vascular diagnostic studies which few vascular laboratories can offer. She was one of the first vascular sonographers in the United States to achieve certification as a Registered Phlebology Sonographer. 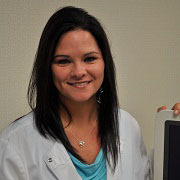 Brandi Wiseman, AS, RVT, RDMS, has a wide experience working in medical imaging since 2007. 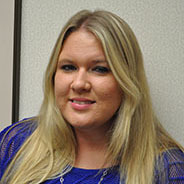 She earned an Associate Degree in Diagnostic Medical Ultrasound and has joined our team of expert sonographers performing complex vascular diagnostic testing. James Desroches, MPH, RVT, has a number of years of experience in public health and vascular diagnostic testing. He has earned a Bachelors Degree in Health Service Administration and a Masters Degree in Public Health. He also has earned an Associate Degree in Diagnostic Medical Ultrasound and has achieved certification as a Registered Vascular Technologist.